Aggresive New Foundland/Tibetan Mastiff almost 5 month old pup. We brought Brizzo into our family May 18, 2016. There is my husband and I along with Daisy our 5 year old rescue beagle. The issue is Brizzo has razor sharp teeth Daisy doesn't interacts with her because when she does she gets hurt. Brizzo is so much bigger and is unaware how her teeth hurts others. Please help me.... I'm running out of bandaids! 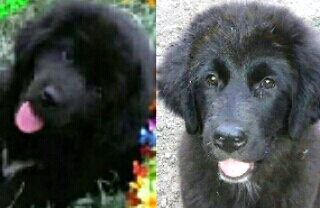 Comments for Aggresive New Foundland/Tibetan Mastiff almost 5 month old pup.